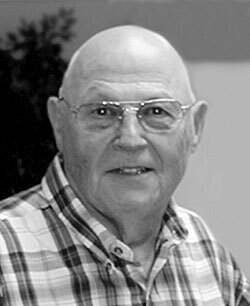 ALLIANCE, Ohio — David Orlin Miller, 77, of Alliance, passed away at 3:10 p.m., Tuesday, Aug. 28, 2018, at his home. He was born Feb. 25, 1941, in East Liverpool to the late Orlin E. and Wilma May (Clark) Miller and had resided in the Alliance area since 2011. David was a 1958 graduate of East Liverpool High School, received his undergraduate degree in Social Work and Political Science at Youngstown University, and a Masters in Social Work from Louisiana State University. He was employed as CEO of HealthWays Behavioral Health Service in Weirton, W.Va. from 1968-99, served as Commissioner in Hancock County, W.Va., from 1989-94; and a counselor in Drug and Alcohol Behavioral Modification for the Weirton Police Department from 2008-10. David was a prime mover along with leaders in the community in directing funds to build the Hancock-Brooke Mental Health Center (now HealthWays) on the campus of Weirton Medical Center. David also served his term as a Commissioner influencing the addition of clarifying information to the property tax statements and the addition of a passing lane to Route 30 out of Chester, W.Va. He was also involved with the construction of the Hancock County Animal Shelter. He was a member of the Fairview United Presbyterian Church in New Manchester, W.Va., serving as Elder; and a member of the Masonic Lodge in East Liverpool from 1971 to the present. David was also president of the Upper Hancock County United Way and the Waterford Rotary. Survivors include his wife, Linda L. (Baumgarner) Miller, whom he married June 10, 1965; son, Kirk D. (Amy Hutchman) Miller of Alliance; daughter, Amy L. (Robert) Hill of East Liverpool; granddaughters, Jane M. Miller of Alliance and Eva K. Miller of Alliance; five nephews, Clark (Lynn) and Craig (Mary) Miller, Greg Cummings, Andrew Juchnowski, and Matt (Jayne) Juchnowski; two nieces, Abbie (Bob) Milner, Laura (Katie Miller) Cummings; and seven great-nephews and two great-nieces. In addition to his parents, David was preceded in death by his brother, Keith Miller; a great-niece, Emily West; and a great-nephew, Stephen Moore. Services will be held at 5 p.m. Saturday, Sept. 1, 2018, at Cassaday-Turkle-Christian Funeral Home with Rev. Mark Wilds officiating. Friends may call from 3-5 p.m. prior to the service. The family wishes to extend a special thank you to Alliance Hospice for their excellent care and compassion for David. Memorial contributions may be made to Alliance Hospice, 2461 W. State St. Suite E Alliance, Ohio 44601. Arrangements are by Cassaday-Turkle-Christian Funeral Home 75 S. Union Ave., Alliance, Ohio 44601. Friends may register online at www.ctcfuneral.com.